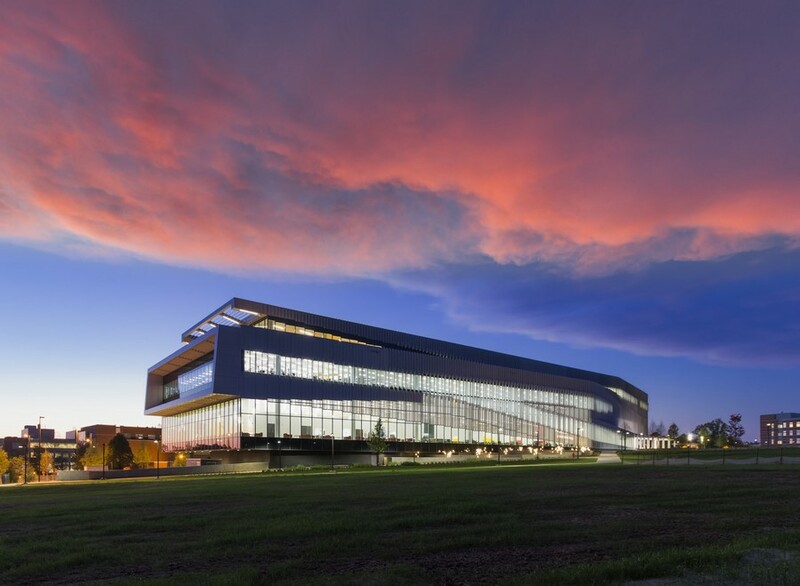 The facility provides 100,000 nearby residents with an accessible, inviting, and healthy place to access, enjoy, and participate in information sharing. 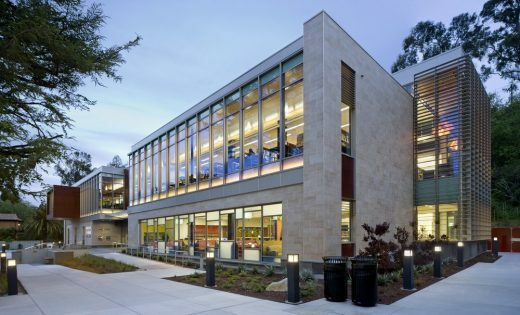 Nestled at the foot of a wooded hillside, the new Los Gatos Public Library is a key element within a master plan that strengthens the connection between the town’s civic center and historic Pageant Park. 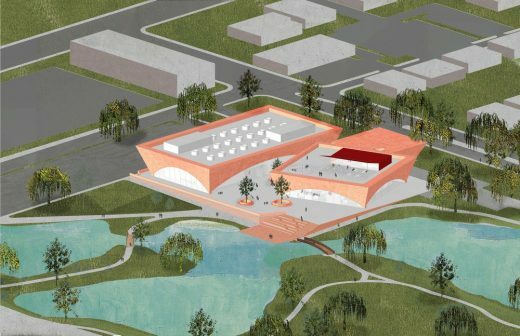 This $30 m architectural project consolidates and replaces the existing library and civic center buildings and will be located on the northwest corner of a reinvigorated Martin Luther King Jr. Park. 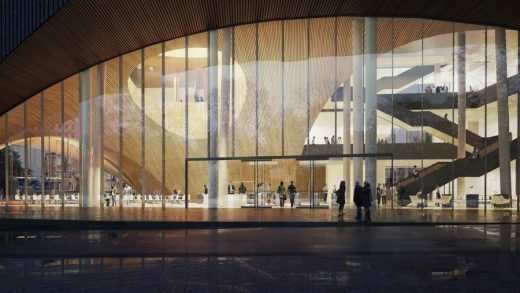 This new US building will provide a new social and academic heart for the campus of 37,800 students. 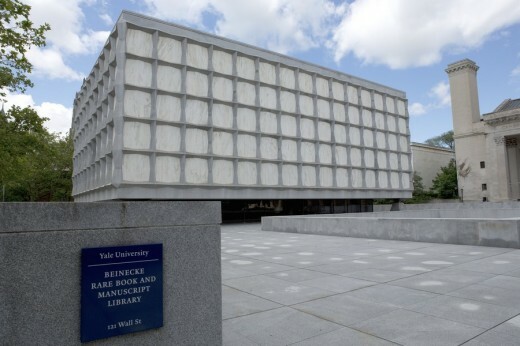 Following commencement ceremonies in May 2015, the Beinecke Rare Book & Manuscript Library will close its iconic building for 16 months to undergo a major renovation that will replace its climate-control systems and double its classroom space. In July 2013, the new James B. 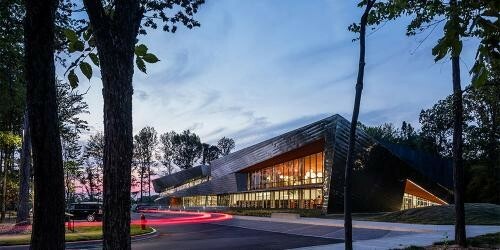 Hunt Jr. Library at North Carolina State University, designed by Snøhetta in collaboration with local architect Clark Nexsen (formerly PBC+L), received the 2013 Library Building Award from the American Institute of Architects and the American Library Association in recognition of design excellence. A replacement for a joint use, public library in a high school that had been in existence for over ten years, the new Sunrise Mountain Library is a modern full-service regional library with a 100,000-piece collection. The facility utilizes RFID and self-service technology. Library includes adult, teen and youth reading spaces, common areas and multi-use facilities. The Channel Islands California State University in Camarillo opened its 23rd campus in 2002. The social and academic heart of the complex is the John Spoor Broome Library which was planned by Foster & Partners Architects and completed in 2008. The architects’ office had been part of the master plan set up for the university complex as early as 1999. The complex is located on the premises of a former psychiatric clinic. One of the main tasks of the design was to create a connection between the buildings existing from the 1930s and 1950s and the required new buildings. The library plays a central roll here. The constructor wanted a light, open building with an atmosphere conductive to studying.